November 28, 2008, was the 100th birthday of Claude Lévi-Strauss, who needs no introduction so don’t you dare click that link. The fact of the matter is that I must be one of the few people I know who was not aware of his birthday, until I saw Lorenz Khazaleh’s post on antropologi.info about how the media have covered his birthday. It’s not that I do not wish to be deferential (it’s too easy to defer to genius), nor that I believe that when one reaches a certain advanced age the constant reminders of one’s age may be unwelcome and deemed impolite; it is rather that I cannot possibly compete with the many birthday essays written by people who know Lévi-Strauss, or who have studied with professors directly inspired by him. See Lorenz’s post for a good sample. 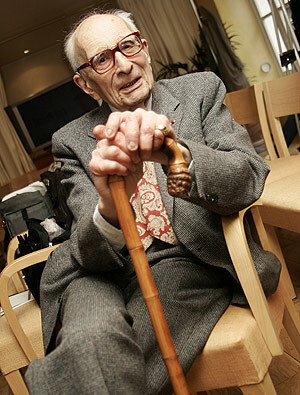 In the past years Lévi-Strauss has been reflecting on what the world has become, and I want to share an opinion of his from one of his last appearances before an audience, as he expressed it in 2005 on French television: “Ce n’est pas un monde que j’aime.” I share his opinion. Happy Birthday! Here’s to your next 100 years!